What a practical online resource for gardeners who want to attract butterflies to their gardens, and aid butterfly populations. 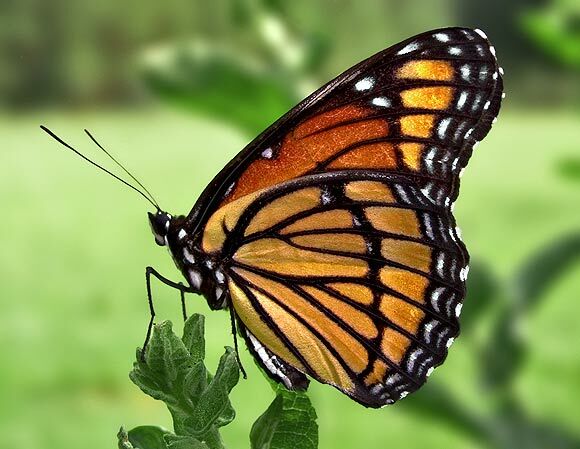 Click on your region from a US map, and up pops a page with photos of every type of butterfly in the region, with a corresponding list of the nectar and host plants that attract each specific variety. Each page includes great photos of butterflies, and you’ll be surprised at how many live and migrate through your region. The site serves very well merely for butterfly identification, and gives both the common and scientific name for each butterfly. My only suggestion for improvement would be to list the plants the same way – the site lists the recommended plants by common name only. The flaw in this is, whereas “milkweed” is listed as an important plant many times, people need to be aware that not all milkweed plants available at nurseries serve as an important resource for butterflies. There are a lot of “milkweeds” in the Ascleliadacea family; not every one sold as pretty, blooming perennials provide any great benefit to Monarchs and other butterfly varieties. Growing native milkweeds – Asclepias fascicularis in warmer regions, and Asclepias syriaca in northern zones – is important.